What did you want to achieve from attending this program? It gives me great pleasure to write this recommendation for Annalise. I was fortunate enough to work with Annalise during my time with the ANZ Banking Group. I always found Annalise to be extremely professional, have a very positive attitude, excellent communication skills and a strong willingness to support and achieve team goals. Annalise has a very like able nature, great personality and someone I would highly recommend for future employment or consultancy work. I hope that our future paths cross and I again have the opportunity to work with Annalise. I would be more than happy to provide any additional information if required. 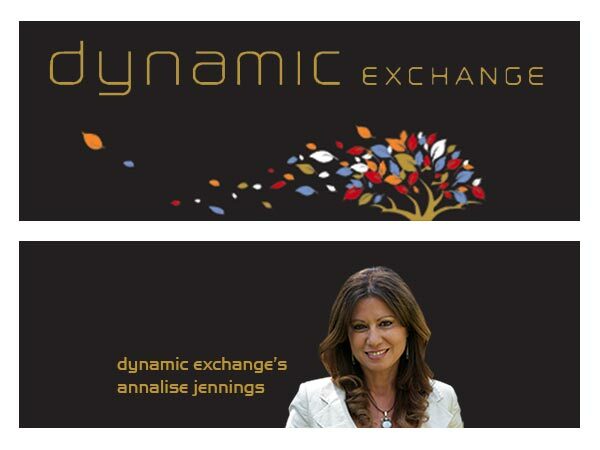 Annalise is a brilliant enabler of `deep’ business and personal transformation. I’ve been priveleged to attend some of Annalise’s workshops at ANZ, particularly in relation to developing a balanced pragmatic and strategic culture to understand and manage Risk and Governance. These workshops, reflected Annalise’s capability and competence to synthesize a variety of coaching, mentorship and leadership development methodologies and philosophies based on her rich experience resulting in a significant mindset shift in the organisation around Risk and Governance. Annalise is one-hundred percent committed to making a difference in the client groups she works with. She is highly intelligent and has strong grasp of human motivation, human development and inter-personal dynamics. She works well with others in teams and can provide strong leadership. She is at her best working with small or large groups taking them on a personal and/or cultural journey of evolution. Annalise is skilled at navigating through complex management structures to influence desired outcomes. Her ‘can-do’ attitude and persistence are valued attributes in driving through obstacles. She is a great team-player. Annalise is a passionate, insightful and engaging professional who can assess an organization’s cultural, risk and strategic environment and provide tailored, balanced and practical remedies to achieve the right business focused results. I’ve participated in a number of workshops run by Annalise and found them personally rewarding. Very creative method and approach to get folks to participate and open up, thus addressing issues and making a difference. I would highly recommend Annalise as a person that achieves excellent results and adds much value to any organisation. I have worked with Annalise on several occasions. Her program was particularly valuable in embedding a heightened Risk culture in to our broader business. She has tailored program to meet the specific needs of our business and her engaging style of presentation has worked well in our business. I would have no hesitation in endorsing her for developing and implementing targeted risk or cultural program in to businesses. The journey towards lasting cultural change in this division has been one with a lot of really positive results. Annalise Jennings, a consultant we engaged to assist with our journey, has played an instrumental role in this work since its inception in 2010. I would like to acknowledge the positive ‘vibe’ that Annalise brought to every event she was involved in. She has constantly inspired us to be “the best we can be” and never waivered in her belief that the IT Division would achieve the results it desired. We will continue to drive positive change and continued innovation and improvement….. The programs developed and conducted by Annalise over the last 2 years have proven to be very effective in driving business ownership of Risk. Whilst the programs have a well developed and thought provoking conceptual framework , the real power comes from the very deliberate engagement of line management as a first step and the direct alignment of the program to the specific business strategies of the organization. The uniqueness of these programs is achieved by customization dependant upon the needs of the particular business but remains based upon the conceptual framework which delivers a results oriented outcome. “I have worked with Annalise in her various roles within ANZ, and very particularly she delivered a Risk Culture program to our team in UDC Finance, New Zealand. Annalise had developed and tailored the program to meet our needs. Essentially we needed to make sweeping changes to the way me managed risk, remedy some adverse audit findings and embed risk management culture back in to our business. Annalise was the creator and driver of the Risk Culture Program at ANZ. A review of operational risk by one of Australia’s largest accounting firms identified Working Capital’s risk culture as the key issue for the business rather than any policy or procedural deficiencies. Changing a culture requres a significant and different intervention and Annalise’s two day program provided the catalyst for change; it enabled the participants to understand the existing risk culture of their business, what it should be and their role in closing the gap. Most importantly, as it was run at all levels in the business, it provided a new “language” which particpants could use to raise issues of significance, no matter what their job level; this broke the old culture. To embed this, participants took away a number of accountabilities and projects which they had to implement and then report back on over a number of months. Risk is the lifeblood of a bank. This program enabled the participants to naturally consider risk issues as part of their everyday approach to doing business. The participants were totally engaged when they finished the program and felt empowered by the new environment, which meant there were immediate beneficial results. While this program was focussed on Risk, the tools and approach adopted by Annalise could be used in any organisation that is endeavouring to align its culture with strategy or a specific outcome. We are extremely grateful to Annalise for allowing us as a couple to complete the workshop material over a number of weekends. We had long been attracted to the Conscious Parenting Course and are very pleased we have been able to have the opportunity to take part. The journey of parenting for all is different yet similar, we all aspire for happy, productive and harmonious relationships with our children and within our families. Conscious parenting provided us with the time out of our regular busy schedules to examine and learn how we can influence our own lives and thus those of our children. The importance of taking the time to contemplate and determine values, characteristics and direction we wish to lead our family. Annalise provided a warm and safe environment for us to examine our own lives and the behaviours we unconsciously bring into our relationship with each other and our children’s’ lives. Knowledge of how we have been parented, how we wish to parent in order to be an “on purpose parent”. We feel that the thoughts and ideas we developed through our time with Annalise have helped us form a clear direction for the values that will underpin all of our family’s daily life. Armed with the skills and information we have been able to fine-tune some of our communications to the benefit of all our family. Together we have been able to explore the values framework which will guide our journey as a family. We recommended that the time invested in exploring Conscious Parenting will be time well spent. It is for us the most valuable time we have spent together in reflective activity for the benefit of us and our family for a long time. Thank you for the wonderful opportunity you provided for me to take time out of my busy role as a mum and reflect on my parenting journey. I truly valued the safe space you created where I could comfortably explore my thoughts and feelings and share them with the group. Even though we were from diverse backgrounds, the challenges we face as parents were similar and we could all draw support from each other. Many of the tools you used have helped me become a more conscious parent – I gained a deeper understanding of myself and how I want to move forward. I now feel better equipped to continue with my parenting journey. My parenting journey continues to be challenging and….rewarding and the learning is always ongoing! Thanks again for making me a more conscious parent. I sincerely wish to thank both Annalise and Peter for a truly wonderful, and enlightening, experience at the ‘Conscious Parenting’ workshop last weekend. In the days following this workshop I have found a significant change in my life, and how I am with those closest to me. The insights that I gained as to the effect I have on the lives of others is already beginning to change the power dynamics around me, and improve how we relate to each other. I have attended, and facilitated, many workshops over the years, and yet I found this one to be very special indeed. Annalise and Peter had the ability to take us into a deeper understanding of ourselves by providing a safe, respectful and caring environment. I believe opportunities to take time out to look at ourselves as parents and partners are all too rare, so I am really grateful for this opportunity. The combination of Annalise and Peter’s professionalism mixed with their healing, and supportive approach made me feel very safe. I dared to look into places I had always avoided! I would recommend this workshop to anyone seeking greater power over their lives, and who has the desire to be a parent who is ‘awake’. As a man I think I benefited very much from some of the activities. Oft times as males we fill our lives with things we think we should be doing and we let slide what our kids perhaps think we should be doing. Being brought up in our western culture as ‘providers’, ‘protectors’ etc., we can tend to concentrate on the more material aspects of our children’s lives. During the course of the workshop there were a couple of areas that made me consider closely the deeper things. It’s not that I never did this in the past – indeed I guess most of us do – but rather, it gave me deliberate time to reflect. Pondering the legacy that I want to leave my kids was one such area. How will they recall me, what will they tell their kids about me, what difference will I make in their future. These are all powerful points. Similarly, reflecting on one’s own past as in ‘The Map of Life’, was a strong reminder that they too have their individual “Map of Life’ and although they may choose their course and may react to events in their own way, undoubtedly they can be strongly influenced by how I have reacted to events in my life. One of the highlights for me was the DVD production – “Celebrate what’s right with the world”. This had a strong alignment with my own personal views. It is a session not to missed. Everyone who watches this will be able to take some gleam of insight and look at the world n a better way. As there is a lot of interaction between the group it is inevitable that one hears many different viewpoints, many different thoughts and can witness many different emotions. I found this highly beneficial. As a single male, it was instructive for me to see the female view of parenting. The truth is that we all desire what is best for the kids, but listening to the comments of the ladies and watching how they expressed their feelings provided insights into the possibility that the “manly’ way is not the “only” way. ‘The Conscious Parenting’ workshop was just that! It raised our awareness around many issues within parenting that some of us may not have recognisably defined least of all articulated. The professional, experienced and approachable presenters of the course set a tone of emotional safety for the group to work within which allowed freedom of expression, honesty and personal sharing. One of the highlights of the course was defining our legacy – how we want our children to remember us. Another important aspect was ‘from knowledge to truth’ stating what we want, love, value, understand etc. as a tool to identifying what motivates us and gives us energy to achieve and to strive for improvement. Since attending the workshop I have been more conscious of every interaction with my children, step children, partner and even friends. It has affected how I communicate on many levels – and I considered myself a good and conscious parent before the course! I am playing more with our five children, having more cuddles while feeling stronger within myself to be firmer with boundaries for inappropriate behaviour. It is working wonders for the children and my relationship. Thank you – I would recommend the course to all parents in need of some new inspiration! It’s a great investment for your children. I’ve now been here for about 2 months already! I am really enjoying my job so far. I’ve had more exposure to different areas over the last 2 months than I have had in my whole career!!! I’ve got plans in place to get my CPEng and RPEQ registration happening so that will keep me busy for a couple of years. Today I had a career development chat with my boss so I’ve got plenty of courses and activities in place to improve my knowledge over the next year. I also have an excellent mentor – he’s a great help with my learning. I just wanted to thank you for pushing me to make a change in my life and also for showing me all the areas or jobs that I have the ability to do. You have helped me to be more confident in my knowledge and ability. I now have the confidence to ask questions (even if they are silly) to get the job done! I’ve passed on your details to friends as I believe everyone should have the opportunity to speak to someone that can help change your life! We asked for an audience with the Council in December, as we noticed a significant reduction of people attending court each month. I believe this has occurred because people are engaged in employment. This is directly a result of the WOCC Leadership and Capability program which has seen over 70% of attendees now employed or placed in training or education. The leadership program has had a positive impact. People have made the decision about choice and others are supporting them as mentors. Whole of community change (WOCC ) is the best thing that has ever happened in our community. Annalise Jennings (program designer) mingled with us. She spoke in our language and with understanding. She listened to us. We trusted her and opened up to her. The energy in her workshops was open making it possible for us to be clear about our hopes, dreams and future. I have noticed that the young people have shifted from their shyness. There is movement in the community. A mindset shift supported by mentoring. People see action and want to contribute because of what they see in the community. For the future, l believe we need to keep up the momentum of the WOCC program. The Women of Worth Healing and the Leadership and Capability programs were very successful. I would like to see the women’s group re-established, improve interaction with Western Cape College, focus on youth education programs, establish our primary school and a birthing centre in Weipa. ‘Whole of Community Change’ has helped us gather people and share ideas. This program has given us a reason to communicate, talk about common goals and has given us something to look forward to. I’m looking forward to completing my certificate training. It’s all l think about. Local boys are now motivated and actively looking for work. This never happened before. We used to depend on Centrelink. But no more! The youth are seeing changes in the community and they want to contribute. There is no damage to housing because everyone is respecting our work. I feel great. I am focused and confident. I have no shame. l’m noticing young people are engaging more and as for myself… by getting involved in this program as the community engagement officer, it has provided an avenue for people to have access to more information and to help young people progress their future. Through the Leadership and Capability program that is offered through the WOCC program, young people have come out of their shyness and they are making changes for the better. I have been very proactive in engaging the critics and even they are shifting their mindsets . The ripple effect of positive change is working and this is all due to the Whole of Community change program. My message is clear; together we can make a difference. Through attending the Women of Worth program (offered through WOCC), l have climbed upwards. I have no fear to apply for jobs and face up to people. I can reason more with people and find other ways to deal with challenges. This process has really changed me. I used to be dull and dusty. I have come out of the dark. The ripple effect must continue. I want to see WOCC continue because we need the continuity. Our challenges as a community are real. This program has helped us to rebuild from the inside. If the mountain is high, l will climb it. Whole of Community Change has created definite and lasting change and has provided an opportunity for everyone to get involved. I believe we have made the choice. The attitude you have when you make that choice will determine its strength. What stood out for me during the WOCC process and in particular when l participated in Men of Worth, was getting clear about my attributes and understanding that what lives beneath us is the root cause of my success or failure. I feel empowered to make a difference. There is a new excitement from the youth. They are watching and looking up to me. I have now developed my own construction team. We all get along and work together well and we are forming good relationships. We socialise after hours, look out for one another and bond. I have noticed that people are shifting more out of their comfort zone. I want to see more of this so we don’t restrict our capability. The WOCC Men of Worth program must continue because it helps us to build solid relationships in our homes and take care of our families. The ripple effect of this program is fundamental to our home life. I want to encourage the boys to keep asking questions and bring clarity to their knowledge. I feel we are happier. We have leaders with vision. We are strong spiritual people and this process has enabled us to come forward with conviction and determination. We have embarked on a journey that has played a big role in restarting my respect for politicians and the political process in Australia. We have proved to ourselves and hopefully the rest of Australia that indigenous communities can and must be the shapers of their destinies. This is a radical new way of thinking / a process that l feel honoured to have been a part.